We all love furniture that is suitable for more purposes than just one. This is true for indoor pieces and outdoor pieces. 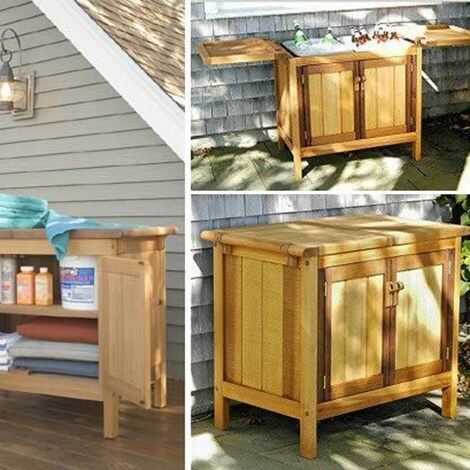 Since this is the case, you will most likely want to take a look at the multi-purpose outdoor furniture line launched by Brookbend. The manufacturer does offer more than this though as it is specialized in outdoor furniture of different types. Their dining sets are crips, clean, attractive and many will appreciate the simplicity in their outdoor lounge chairs. However, we should now talk about the multi-purpose furniture as this is where Brookbend Furniture stands out. This storage unit doubles down as a makeshift dining table or a sideboard. You can easily store anything you want inside and when you need a table you just have to move the top parts. 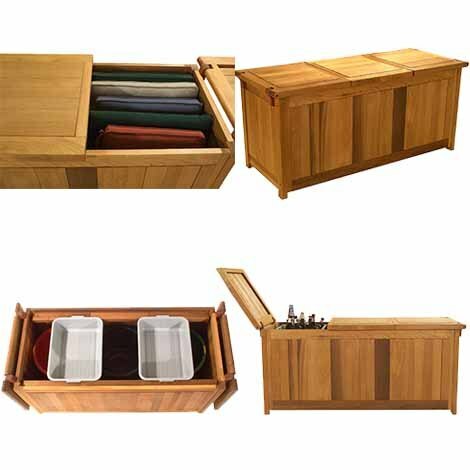 The storage buffet server can be made out of teak or cedar and can be a welcomed addition in many homes around the world. While most people seem to prefer the storage buffet server, we simply loved the storage buffet box. This is because of sheer simplicity and utility. The box can hold many things and you can use it to set up a really quick bar. The box is patented and what makes it really special is that it is a three-piece unit. You can take out the lid and have 3 serving pods. By now you surely know what to expect. This does look like a bench at first glance but it can be so much more. It is exactly as the Storage Buffet Box but it is smaller. You get all the advantages at a smaller scale, with the addition of sitting as a purpose. The bench can be used for storage, as sitting furniture or as a table. Your choice. Brookbend offers a really interesting opportunity for those that want more from their outdoor furniture and that want something with a classic yet stylish appearance. The wood chosen is high quality since western red cedar is renowned for durability. 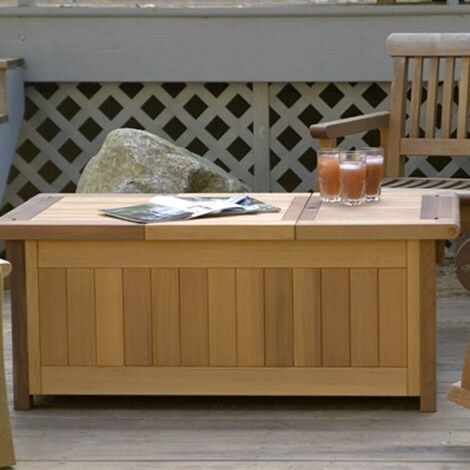 These benches, tables and boxes will last for a really long time and will add appeal to almost any outdoor area.